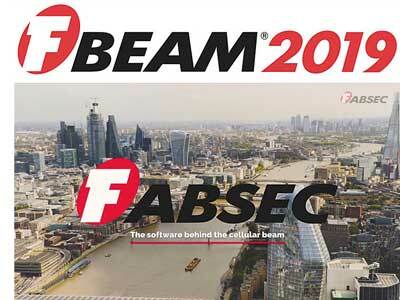 Long span cellular beam designer Fabsec, has launched its updated FBEAM 2019 software, which it claims will help steelwork designers achieve greater levels of project performance and efficiency. The FBEAM ambient cellular beam free software is typically used to design primary and secondary floor beams and rafters for multi-storey projects. Fabsec cellular beams can be composite and non-composite with typical spans of between 8m and 24m, and roof spans of up to 60m. One of the updates to the FBEAM software is the addition of a Fire Engineering Module, that allows the design of beams using the latest intumescent coatings. The module calculates the optimum structural section size and the intumescent coating thickness to determine the most cost-effective combination. Also, available on the website is Fabsec’s new promotional video.